At West Functional Chiropractic, we strive to improve your daily life and overall wellness. Spinal health plays an important role in your physical functioning. Everything from your immune system to your central nervous system is affected by the alignment of your spine. By addressing issues in the spine, we can alleviate back pain, neck pain, strengthen your resistance to illness and help you stay healthy. Chiropractic care helps patients manage chronic back pain and recover from back injuries. Employing all natural chiropractic techniques, chiropractors realign the vertebrae and restore balance to the spine. They use their skills and training to eliminate subluxations, identify lifestyle factors that contribute to back pain and treat conditions that cause chronic back pain. With techniques like spinal adjustment and stretches and exercises, chiropractors help their patients enjoy better quality of life overall. Finally, patients who get regular chiropractic care enjoy an improved approach to pain treatment. Chiropractic care is non-invasive and involves no medications, which helps patients live naturally and safely. Seeing the chiropractor regularly can help you make gradual improvements to your spinal health. Getting regular adjustments and improving your overall posture can help you avoid injuries. At West Functional Chiropractic, we offer a variety of services to help our patients avoid back pain and recover from back injuries. Our skilled professionals have years of experience treating conditions like whiplash, spinal stenosis, herniated discs and more. Every patient starts their experience at our clinic with a consultation and discussion about their particular pain and symptoms. Together, we explore lifestyle factors, discuss previous diagnoses and current injuries. During the consultation, we answer patient questions and help them understand the cause of their pain. This helps us devise a treatment plan that is suited for the individual, so our patients can make a full recovery. Our patients have access to state of the art chiropractic and exercise equipment that can help them on the route to wellness. 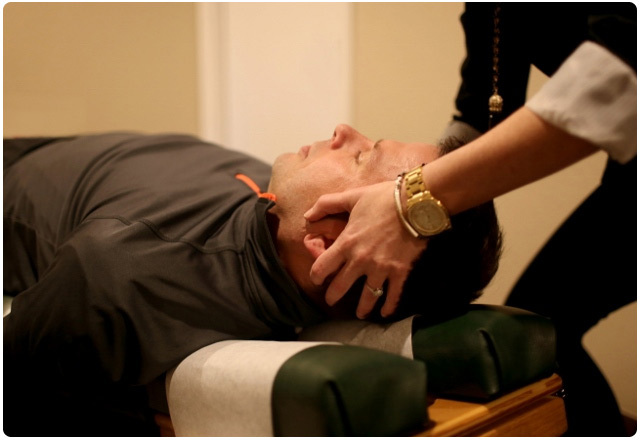 With our expert understanding of chiropractic techniques and our modern tools, we can help patients live better, healthier lives. Call Dr. Jami West at (940) 668-8755 to schedule your initial appointment. We serve Gainesville, Whitesboro, Sanger, and their surrounding areas.